Don’t settle for the normal……stand out from the crowd with this unique limited edition Ariel Atom 3R. The sound of this car at full song is unmistakable as we brought the 2.0L supercharged Honda drivetrain back for this edition! 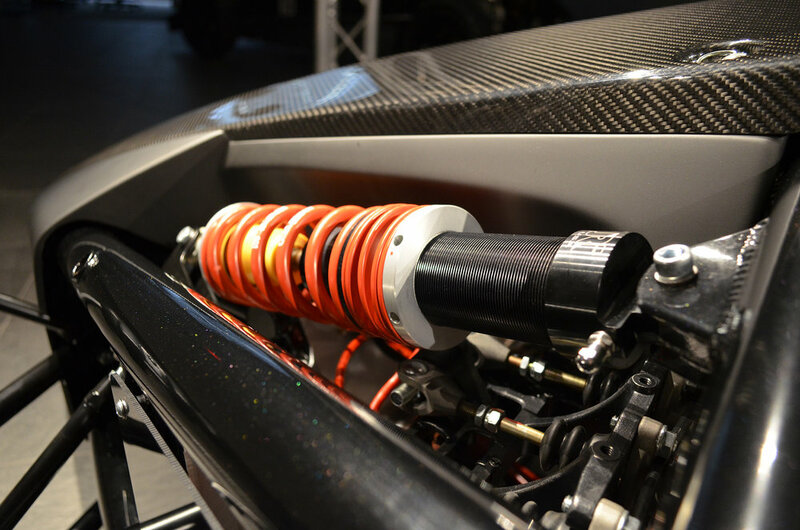 10 units only received this highly-acclaimed engine package, that has not been utilized in an Ariel Atom since 2012. A smooth & high-revving engine begs the driver to push the fly-by-wire throttle pedal to the floor unleashing an intoxicating whine from the supercharger. This engine is also equally happy taking a leisurely drive through town with careful thought having been put into the engine mapping to ensure drivability in all situations. 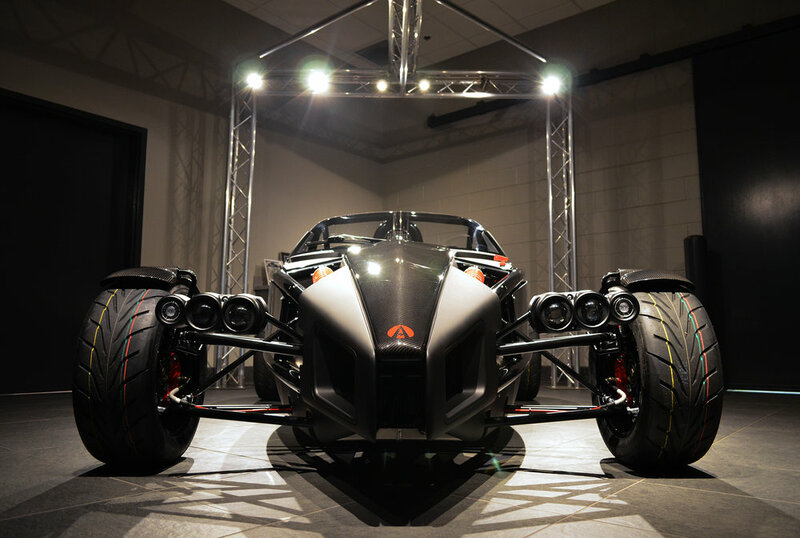 With its head-turning good looks, in addition to performance options carefully selected for true drivers, the Ariel Atom 3R did not disappoint. This limited edition is cloaked with select hand laid carbon fiber panels that are finished with a deep clear coating to ensure the beauty of each woven fiber is visible. Carbon will be seen on the Bonnet, Airbox, the signature intake snorkel, and covering the sticky performance tires. A touch of Carbon fiber also greets the driver as they view the full digital dash display unit. A special black metallic finish covers the signature exo-skeleton chassis tubes of the Ariel Atom 3R, helping to accentuate the smooth curves of the tubular steel structure. 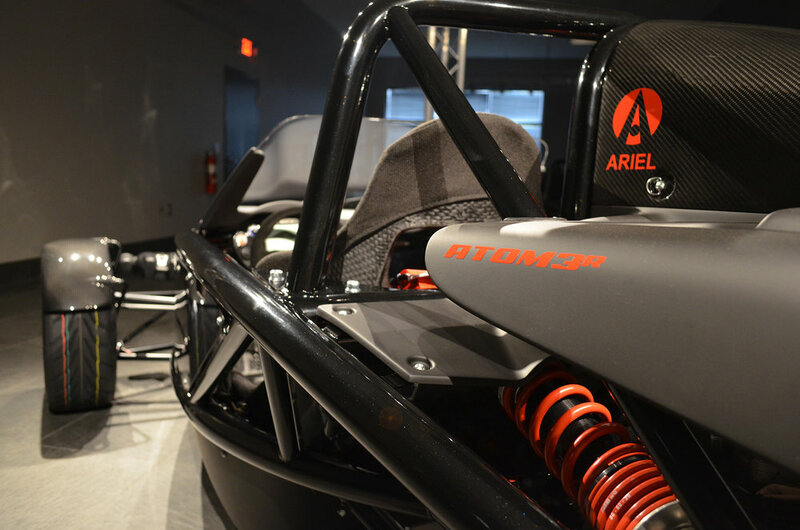 Tinted side panels are utilized on all Ariel Atom 3R; making for a comfortable seating area for driver and passenger while tucked behind the laminated safety glass windscreen. 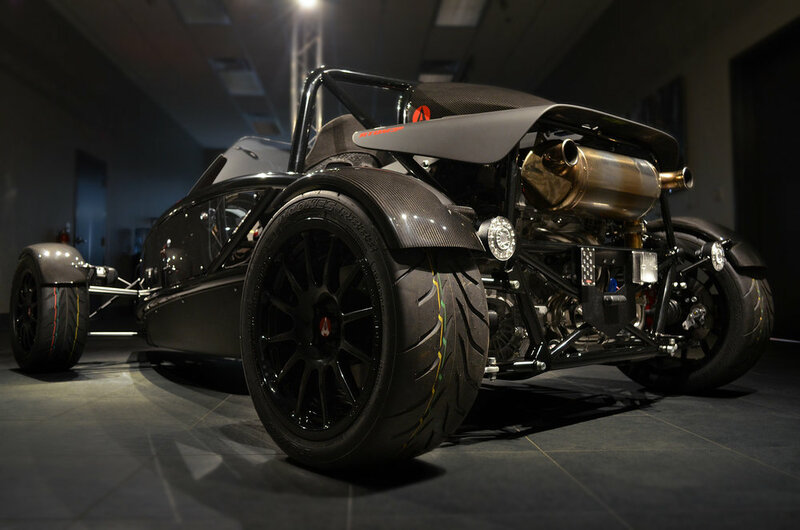 The Ariel Atom 3R is well connected to the road with bespoke adjustable suspension dampers soaking up curves on even the most spirited drives. Drivers will also be well connected to the vehicle with stopping forces that are well matched to the supercharged acceleration. 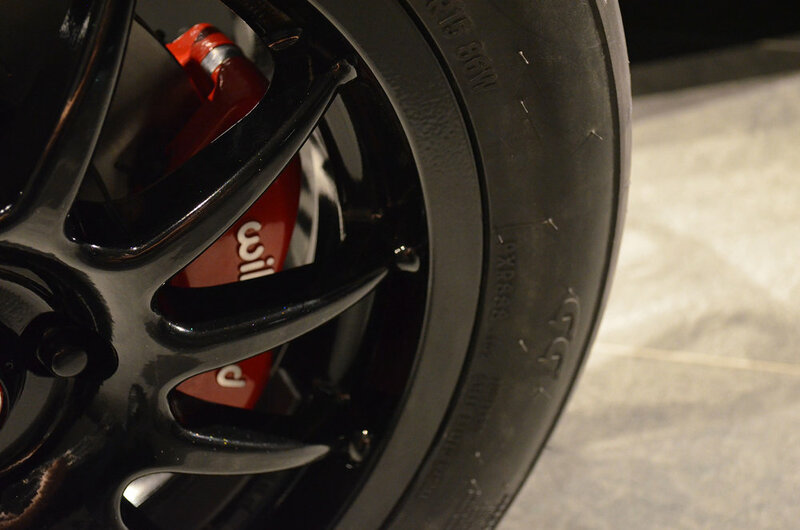 4-piston brake calipers, on all 4 corners, handle the duty well in addition to providing a hint of red color through the wheels.